The city of Hood River is the seat of Hood River County, Oregon, United States. Kick off your visit on the 16th (Sat): contemplate the waterfront views at Columbia River Gorge National Scenic Area. Get ready for a full day of sightseeing on the next day: admire the sheer force of Multnomah Falls, then take in the views from Bridge of the Gods, and then trek along Historic Columbia River Highway State Trail. 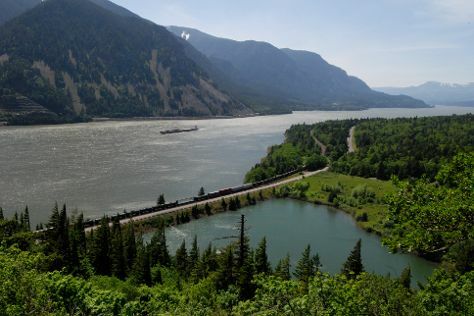 To see reviews, other places to visit, maps, and other tourist information, go to the Hood River trip itinerary planner. Bozeman to Hood River is an approximately 5.5-hour combination of flight and bus. You can also drive. The time zone changes from Mountain Standard Time to Pacific Standard Time, which is usually a -1 hour difference. Traveling from Bozeman in March, Hood River is somewhat warmer at night with lows of 39°F. Finish your sightseeing early on the 17th (Sun) to allow enough time to drive to Bandon. Bandon is a city in Coos County, Oregon, United States, on the south side of the mouth of the Coquille River. On the 18th (Mon), kick back and relax at Whiskey Run Beach, admire the majestic nature at Bandon State Park, then take in the dramatic natural features at Face Rock State Scenic Viewpoint, and finally enjoy the sand and surf at Coquille Point. To find where to stay, maps, and other tourist information, go to the Bandon journey maker app . Traveling by car from Hood River to Bandon takes 6.5 hours. Alternatively, you can do a combination of bus and flight; or take a bus. March in Bandon sees daily highs of 56°F and lows of 43°F at night. Wrap up your sightseeing on the 18th (Mon) to allow time to drive to Cannon Beach. Cannon Beach is a city in Clatsop County, Oregon, United States. Start off your visit on the 19th (Tue): take in the dramatic natural features at Haystack Rock, then browse the eclectic array of goods at Cannon Beach Farmers Market, and then stroll through Cannon Beach. Here are some ideas for day two: look for gifts at Bronze Coast Gallery, immerse yourself in nature at Ecola State Park, and then enjoy the sand and surf at Manzanita Beach. To see where to stay, photos, and more tourist information, refer to the Cannon Beach journey site . Traveling by car from Bandon to Cannon Beach takes 6 hours. Alternatively, you can take a bus; or do a combination of bus and train. In March, daily temperatures in Cannon Beach can reach 54°F, while at night they dip to 41°F. 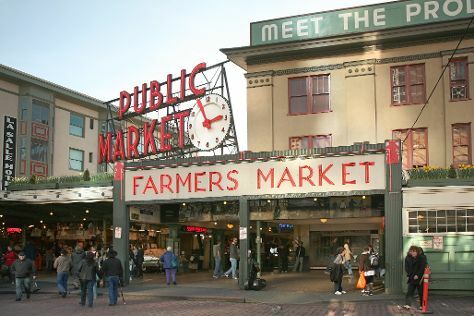 Finish up your sightseeing early on the 20th (Wed) so you can go by car to Seattle. Get in touch with nature at Murhut Falls and Mercer Slough Nature Park. Step out of Seattle with an excursion to Hood Canal in Olympic National Park--about 1h 20 min away. Next up on the itinerary: wander the streets of Pike Place Market, explore the world behind art at Seattle Art Museum, view the masterpieces at Chihuly Garden and Glass, and take in panoramic vistas at Space Needle. To find more things to do, ratings, photos, and more tourist information, refer to the Seattle trip itinerary builder site . Getting from Cannon Beach to Seattle by car takes about 4.5 hours. Other options: do a combination of bus and flight; or take a bus. In March, plan for daily highs up to 56°F, and evening lows to 42°F. Finish your sightseeing early on the 23rd (Sat) to allow enough time to travel back home.